For Jo Challinor, St Giles provided invaluable support, for not only her dad Terry Clarke, but for the rest of the family throughout his illness. 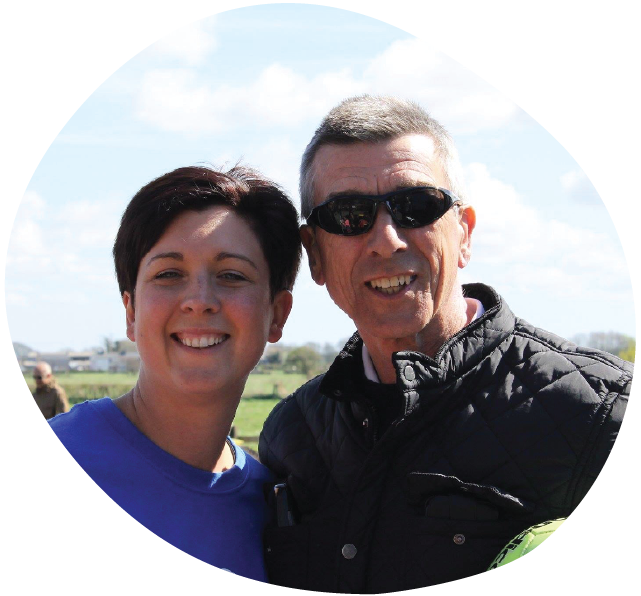 Keen sportsman Terry was diagnosed with cancer, and despite having extensive treatment, the cancer returned and the family were told nothing more could be done. Terry spent the last weeks of his life at St Giles and Jo said she couldn’t thank the hospice staff enough for the support the whole family received. “Dad felt so comfortable in the hospice – he loved the nurses and they worked so hard to keep his pain under control and keep him comfortable,” she said. “In his last few days, Dad decided he really wanted to go home, even if it was just for a night, and St Giles did everything they could to enable us do that. “The next day Dad returned to the hospice and straight away, he relaxed. We were able to stay with him from then on, until he passed away, just a few days before Christmas. “He was our hero and a true fighter until the end and we are so glad we could be by his side, with the support of St Giles. By playing the St Giles Hospice Christmas Raffle, you can help us to be there for local people like Terry and his family when they need us.